Endress+Hauser's iTemp TMT82 HART temperature transmitter is designed to meet the toughest requirements to be found in the chemical, oil & gas and power industries. Not only is the transmitter certified to SIL 2/3 (i.e., can be used in SIL 3 safety systems), it is also available with various international approvals guaranteeing safe operation in explosion-hazardous areas. iTemp TMT82 is available as a head transmitter or as a unit for top-hat rail mounting. Conforming to HART® 7.0, it has two inputs and one 4-20 mA/HART output, thus supporting standard, redundant and differential temperature measurement. It can be used with TCs, RTDs, resistance transmitters (Ω) and voltage transmitters (mV). Sensor matching ensures the highest accuracy. A major feature of the transmitter is its support of NAMUR NE 107 diagnostics. 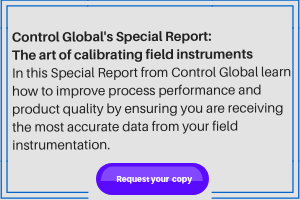 Monitoring both itself and the sensor inputs, any issues detected are assigned to one of four categories: maintenance required, out of specification, function check and failure. Information on possible cause and potential remedy is available for each event, allowing the user to quickly identify and eliminate device faults. The subsequent improvement to maintenance processes ensures higher plant availability and saves costs.